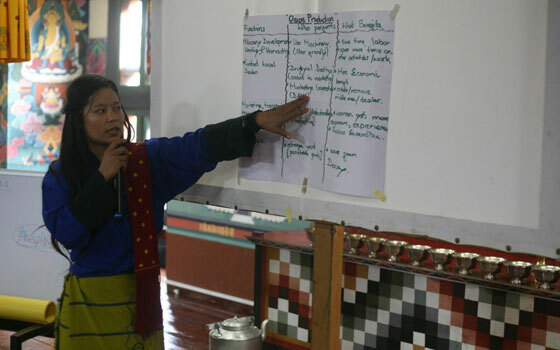 Himalica, together with the Tsirang Dzongkhag, organized a two-day workshop on ‘Empowering Women as Agents of Change’ in Tsirang, Bhutan. The meeting was held on 2015 in the Government Dzong, in Damphu. 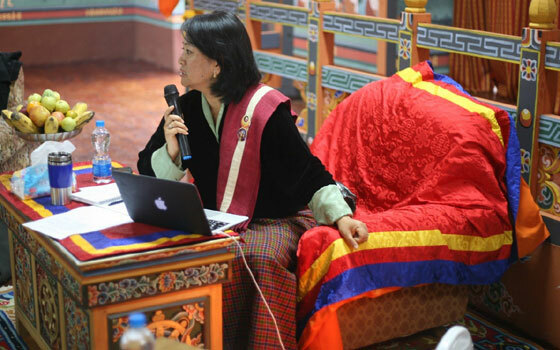 Dasho Dzongda, Ms Ngawang Pem, the only female Governor in Bhutan, chaired the workshop. Although it is generally acknowledged that women play a critical role in shaping local, national, and global change, there are still considerable challenges in terms of the lack of participation by women in decision-making. To address this, Himalica is implementing a pilot project in Tsirang to integrate women into the value chains for goat rearing, fresh vegetables, and spices. The ‘Empowering Women’ workshop aimed to strengthen the capacity of women in these value chains, in which they play significant roles in most stages, and to develop a common understanding among participating women and men about women’s empowerment and gender issues. The workshop’s specific objectives were to raising awareness of ‘gender’ among male and female leaders and strengthening their skills as agents of change. Activities were conducted on strengthening the leadership qualities of women and building skills in gender advocacy. In addition, interactive discussions were held on women as agents of change. The workshop also looked at the roles of women and men in the vegetable value chain, including their skills, the technologies they use, and their constraints and benefits. Finally, plans were developed to strengthen and build the capacity of women in this value chain. While 55% of participants were women, it is important to include men in such programmes as their support is critical for women to emerge as leaders of their organizations and communities. In order to have men as allies and supporters, men need to understand ‘gender’ and be part of gender equity and transformation programmes. The workshop highlighted that women have a crucial role to play as catalysts for change in mountain communities.